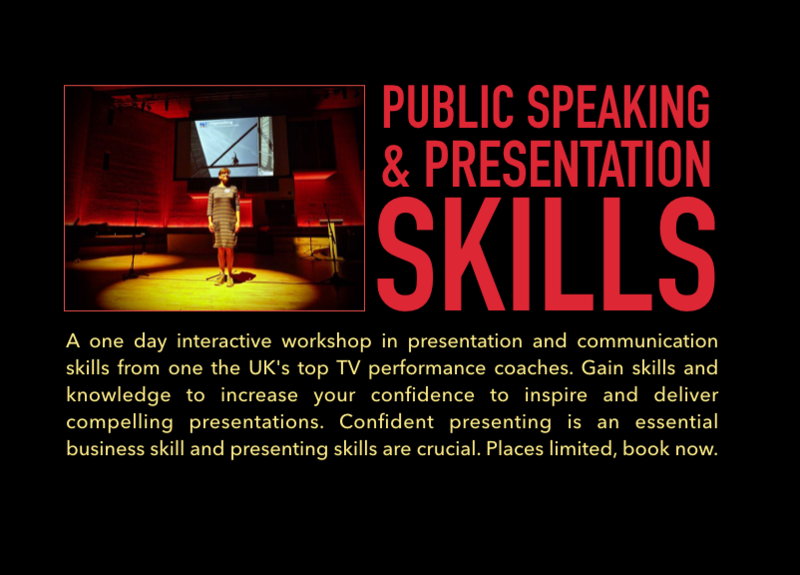 A one day interactive workshop in presentation and communication skills from one the UK’s top TV performance coaches. Gain skills and knowledge to increase your confidence to inspire and deliver compelling presentations. Confident presenting is an essential business skill and presenting skills are crucial. Content will include first impressions, posture and body language, managing fear, power of voice. How to plan, prepare, present and hold audience attention. Most courses teach WHAT to do, Kate will show you HOW. This is a full day workshop in Manchester from 9am – 5pm run by Kate Marlow, a top TV performance coach. £90+ vat to attend, contact Leanne on leanne.gregory@researchnorthwest.nhs.uk to book, places are limited!